Mule Deer Foundation - Arizona, will be hosting a fun, fast paced fundraiser in Cave Creek, Arizona on December 7th from 5:30 - 8:00 pm. Bound on over to the Buffalo Chip Saloon & Steakhouse for some good old fashioned fun, win some prizes and support the future of Mule Deer in Arizona while you're at it! There are going to be some great raffle prizes to win with proceeds going fund MDF, habitat/water projects and youth events in the state of Arizona. Doors open at 5:30 and the event will wrap up around 8 pm. Admission to this event is FREE (Food and drink will be available to purchase from Buffalo Chip Saloon & Steakhouse), and if you PRE-REGISTER you will receive 5 free tickets for the bucket raffle drawings -- a $20.00 value! *This offer is only valid to persons 21 years of age or older and registrants must check in at event registration table prior to drawings to claim the tickets and be eligible. - Plus Door prizes and Silent Auction! 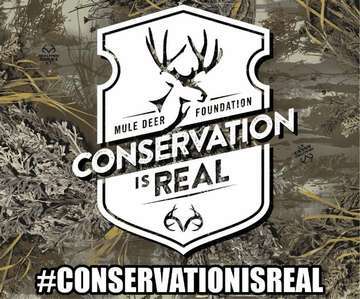 *Over the last 6 years Mule Deer Foundation has raised $1.6 million with 100% of those funds going on the ground in Arizona in the form of water improvements, habitat restoration and improvements, forest projects, wildlife friendly fencing, youth activities and more. For more information, contact Regional Director Korley Sears at 520-305-0724 or korley@muledeer.org. regulated hunting as a viable component of mule deer and black-tailed deer conservation.